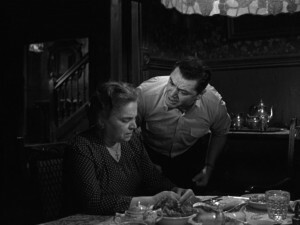 Marty won the Oscar for Best Motion Picture of 1955, and picked up another three, Best Director (Delbert Mann), Best Actor (Ernest Borgnine) and Best Writing, Adapted Screenplay (Paddy Chayefsky). 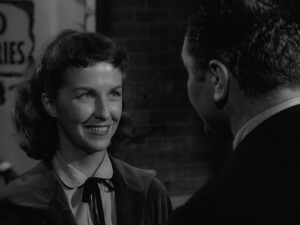 Betsy Blair and Joe Mantell were nominated for Best Supprting Actress and Actor respectively, and it also got nominations for Best Art Direction-Set Direction and Best Black-and-White Cinematography. The other contenders for Best Motion Picture were Love Is a Many-Splendored Thing, Mister Roberts, Picnic and The Rose Tattoo. I haven’t seen any of them. 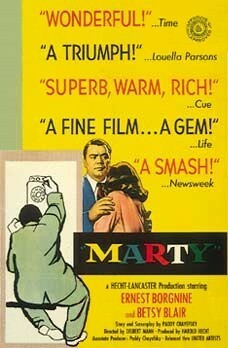 IMDB users rank Marty 15th or 11th of the films of 1955. 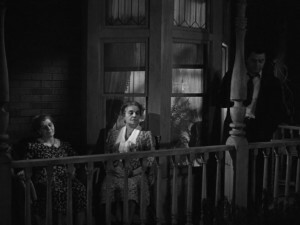 Six films are ahead of it on both rankings: Rebel Without A Cause, East of Eden, Lady and the Tramp, To Catch a Thief, The Night of the Hunter and The Seven Year Itch. The only one of those that I have seen is Lady and the Tramp. Others that I know include Guys and Dolls, The Ladykillers, and The Dambusters; and I have the Broadway cast album of Kismet but have not yet watched the film. That’s unusually broad for me - I think the best year since 1942 (soon to be 1943 once I get to the Retro Hugos). Here's a contemporary trailer, fronted by Burt Lancaster (who we saw two years ago) as the producer; it includes the one scene that perhaps has weathered the years least well. 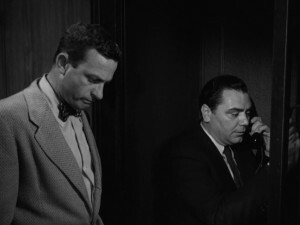 Plot: Although it’s a romance, I was pleased thatthe film ends before the story does; the last shot is of Marty phoning Clara to ask her out. 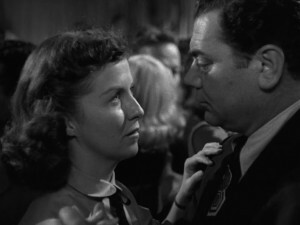 We are fairly certain that she will say yes, but who knows where their future will lead?The chemistry between Ernest Borgnine and Betsy Blair as Marty and Clara is very watchable, and nicely filmed. 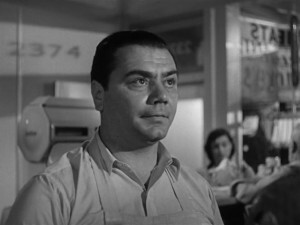 Borgnine: As the central character, Borgnine is hugely convincing. 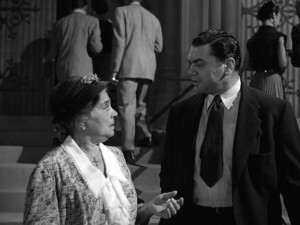 He does a tremendous eye-roll in his first scene, as various women customers nag him to get married; his punching a street sign in joy after his accidental date with Clara is a lovely moment; and as well as the chemistry with Betsy Blair, he is great with Joe Mantell as his friend Angie and Esther Minciotti as his mother. 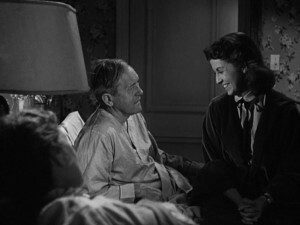 I didn’t get anything like as vivid an impression of him in From Here to Eternity. 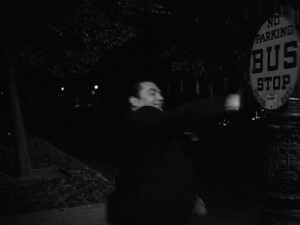 Cinematography: The best aspect of the film for me was its solid portrayal of the Bronx as a place. 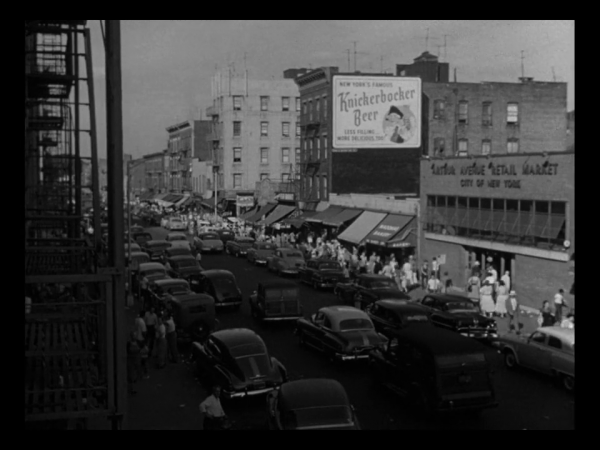 There are a couple of key moments here - one of them is the opening street scene, set on Arthur Avenue in Belmont, the Bronx. I'm glad to report that the butcher's shop where Marty works is still extant, now Vincent's Meat Market at no. 2374. A more recent iconic video filmed around the same location: Lady Gaga's Eh, Eh (Nothing Else I Can Say). 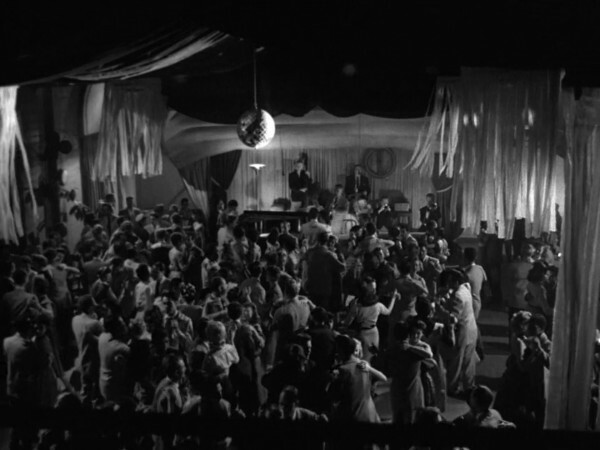 One scene that particularly intrigued me for its setting was the dance hall. Look at the top there - that's actually a disco ball! 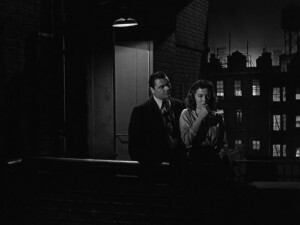 I ahd no idea that they were around that early, but that only shows that I haven't watched Casablanca closely enough, because there's one visible in one of the flashback scenes. Anyway, it is charming enough. You can get it here. 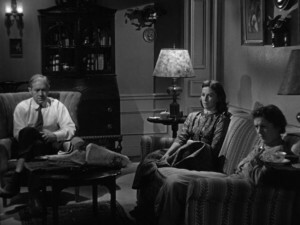 The film was based on a teleplay - the first such to win an Oscar for best Picture - so there's no book to read and I don't think the original script is available (though the shooting script for the film is online). Next up, after a run of seven films with more or less co ntemporary settings, it's back to the nineteenth century and Around the World in Eighty Days.